Blazer obsession | Alicia S.
Want to know how to wear the latest trend – blazers? Read this post. First of all – it’s been a while since I wrote on here, I know. I’ve been busy with college and work but now that I’ve set up this new website I’m happy to start posting more often. Even though this weather is not perfect for this kind of outfits they’ll sure be my go to when it’s bit warmer. Now, let’s get into this post. I’m obsessed with blazers and classy pants at the moment, I think it looks so put together but is also comfortable enough to wear it through the entire day. I usually wear a pair of chunky sneakers with it, but you can dress it up with a pair of heels. I really love this look with the orange blazer and light pink pants – it look so effortlessly put together. 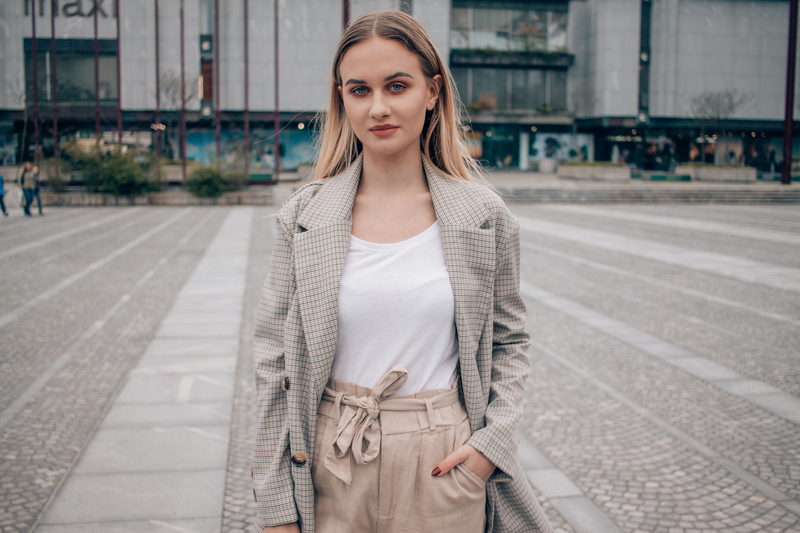 I was on a hunt for the perfect casual blazer and I came across quite a few in stores like Bershka, Stradivarius and Zara. I was really surprised how many beautiful pieces I found – just a while back I was really dissapointed by all of these stores when I was looking for some new items for winter. Neutral colors are also my obsession at the moment. I took a little break from the bright, vivid colors and moved on to more muted nudes and whites. This look is very casual with the oversized blazer and these paper bag pants paired with chunky trainers but would again look more classy with a pair of heels. That’s it for today, thank you so much for reading! "How we planned our Thailand trip"